When I first started this blog I posted about places in Ohio I would like to visit. I have visited some of them since then, but there are still many places on my list. Now as my time here is dwindling, there are sights and sounds around the state I want to spotlight. Some are old-time favorites, others I have been introduced to only recently and the rest are places on my to-do list. These places include restaurants, museums, gardens and other institutions, all reasons why I truly do love this state. My last installment was about Cheese Haven in Port Clinton. 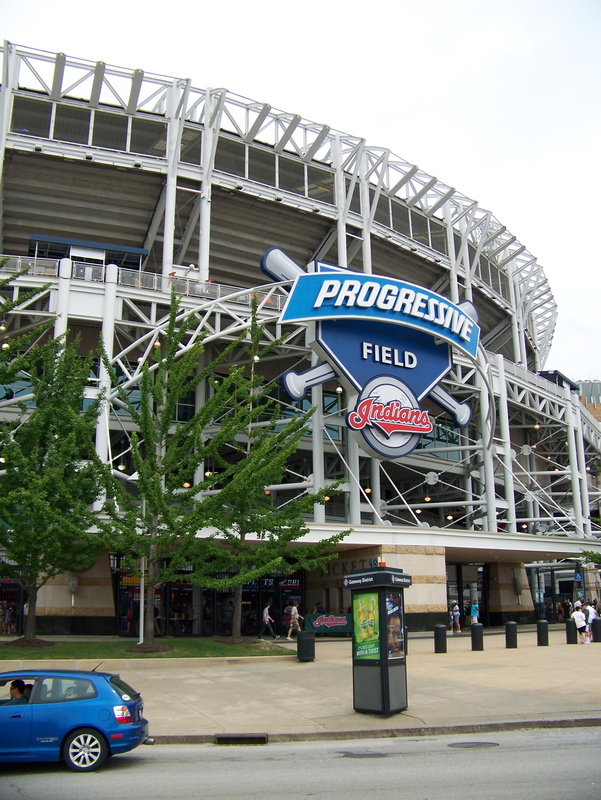 Up this week is Progressive Field, home of the Cleveland Indians. Baseball games are an essential for summer for me, and last year, I went without hearing the crack of the bat on the ball. I was not letting that happen again this year, so a few weeks ago my family and I headed to a Cleveland Indian’s game. The Indian’s won with a walk-off home run after a rain delay, which made for a pretty exciting day. I love the atmosphere of the ball park, along with the chance to scream and dance like crazy all while cheering for your team. I am partial to Indians baseball and know I always will be. I have had many wonderful memories at Jacob’s Field (this was my first visit since the name change! ), and the one topping my list is from around 1992. It was a bases-loaded situation with Lee Smith of the Angels pitching (we’d received his autograph before the game, and it’s the only one we’ve ever received at the stadium) and Albert Belle up to bat. We had seats in the mezzanine section and Belle slammed one over the center-field wall into the barbecue pits. But I like the minor leagues, too, and have many fond memories from games at the Akron Aeros and Mahoning Valley Scrappers. So check out a game sometime. Even if you do not have a favorite team, the atmosphere at the stadium is worth the trip. 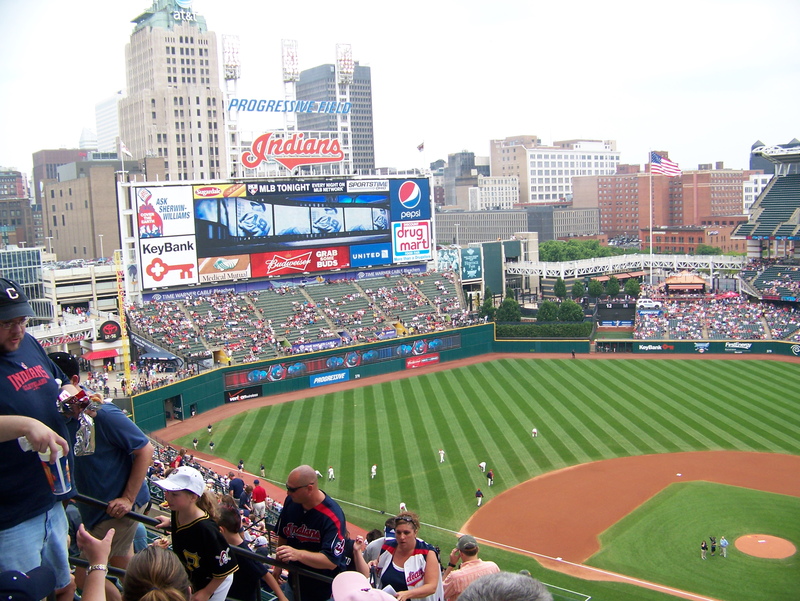 This entry was posted in North America, Photos, Saturday Spotlight, U.S. and tagged Baseball, Cleveland, Ohio, Photos, Travel. Bookmark the permalink.